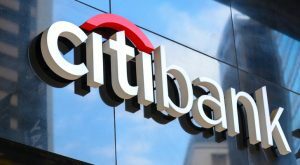 Citigroup stock stock got a small boost on Friday following the release of its earnings report for the third quarter of 2018. During the third quarter of the year, Citigroup (NYSE:C) reported earnings per share of $1.73. This is an increase over the company’s earnings per share of $1.42 reported in the same period of the year prior. It was also good news for Citigroup stock by coming in above Wall Street’s earnings per share estimate of $1.69 for the quarter. Citigroup’s earnings report for the third quarter of 2018 includes net income of $4.62 billion. This is up from the company’s net income of $4.13 billion reported in during the third quarter of 2017. Citigroup stock can thank a lower tax rate for its increase in net income for the quarter. The company notes that the 12% increase to its net income for the quarter was mostly due to lower taxes, lower credit and lower costs of credit. Operating income reported by Citigroup for the third quarter of the year came in at $4.63 billion. The investment bank and financial services company reported operating income of $4.14 billion for the same time last year. Citigroup also reported revenue of $18.39 billion for the third quarter of 2018. This is down from the company’s revenue of $18.42 billion that was reported in the same quarter of the previous year. Unfortunately, it also wasn’t able to meet analysts’ revenue estimate of $18.45 billion for the period, but wasn’t keeping Citigroup stock down today. C stock was up 1% as of Friday morning, but is down 8% year-to-date. Article printed from InvestorPlace Media, https://investorplace.com/2018/10/citigroup-stock-up-on-earnings/.